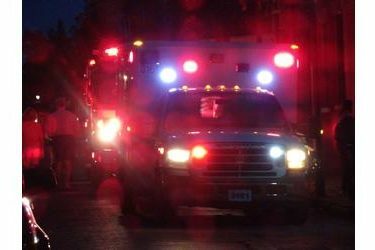 A Ulysses man was injured after rolling his semi in Sheridan County Monday morning. At 9:15 a.m., Jeovanni A. Castillo-Ochoa, 29, of Ulysses was driving south on U.S. Highway 83 a mile south of Selden when his semi went off the north side of the road, overcorrected, went left of center and then rolled onto the south side of the highway, according to a Kansas Highway Patrol report. Castillo-Ochoa was transported to Sheridan County Health Complex for injuries. He was not wearing a seat belt.